The press release declared that customers have purchased more than a million devices from the Kindle family per week for the third straight week. 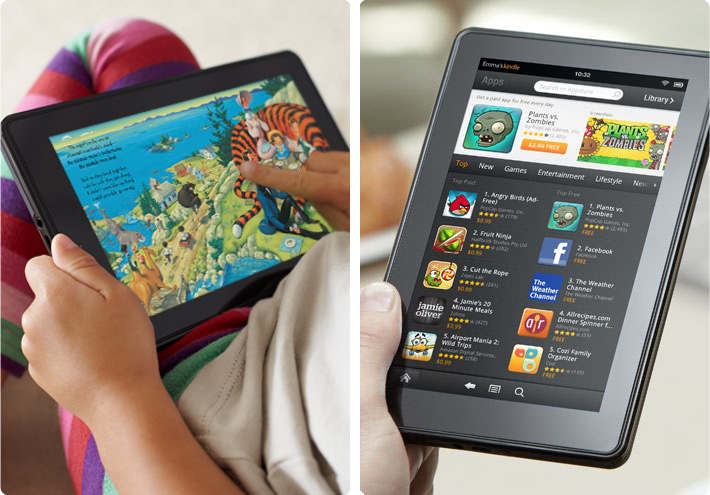 The Kindle Fire is joined by the standard Kindle, Kindle Touch, and Kindle Keyboard. Amazon did state that the Kindle Fire remains the company's No. 1 bestselling product sold by the online retailer. The company said as much in late November, but still declined to release specific sales figures for the Kindle Fire. "Kindle Fire is the most successful product weve ever launched  its the bestselling product across all of Amazon for 11 straight weeks, weve already sold millions of units, and were building millions more to meet the high demand," said Amazon Kindle Vice President Dave Limp. "In fact, demand is accelerating —Kindle Fire sales increased week over week for each of the past three weeks. People are buying Kindle Fire because it's a simple, fully-integrated service that makes it easy to do the things they love —watch movies, read books and magazines, listen to music, download apps, play games, and surf the web. Our family of Kindle e-ink readers are close behind Kindle Fire on the Amazon.com bestseller list. Customers continue to report preferring their Kindle e-reader for long-form reading, and in fact weve seen many customers buy two Kindles —both a Kindle Fire and a Kindle or Kindle Touch —this holiday season." One estimate issued earlier this month forecast Amazon will ship 3.9 million Kindle Fire units during the holiday shopping season, securing the retailer the No. 2 tablet spot behind Apple's market dominating iPad. Amazon's entrance into the tablet market edges out Samsung, Barnes & Noble and HTC. Some reports have suggested that the Kindle Fire has had a negative effect on iPad sales for Apple, prompting some Wall Street analysts to slightly reduce their sales projections for the fourth quarter of calendar 2011. Still, Apple is expected to set a new record for iPad sales this quarter, handily beating the 11.2 million tablets the company sold in its last quarter. Even with indications of a strong debut for the Kindle Fire, one usability study found that Amazon's first touchscreen tablet has a "disappointingly poor user experience," particularly for Web browsing and magazine reading. In particular, usability guru Jakob Nielsen found that Amazon's proprietary Silk browser is "clunky and error-prone." The online retailer revealed this week that Amazon is readying a software update to address criticisms that some users have shared since the Kindle Fire became available in November. While the software update will aim to fix some performance issues, it will not be able to address hardware issues related to a lack of external volume controls and poor placement of the off-switch.